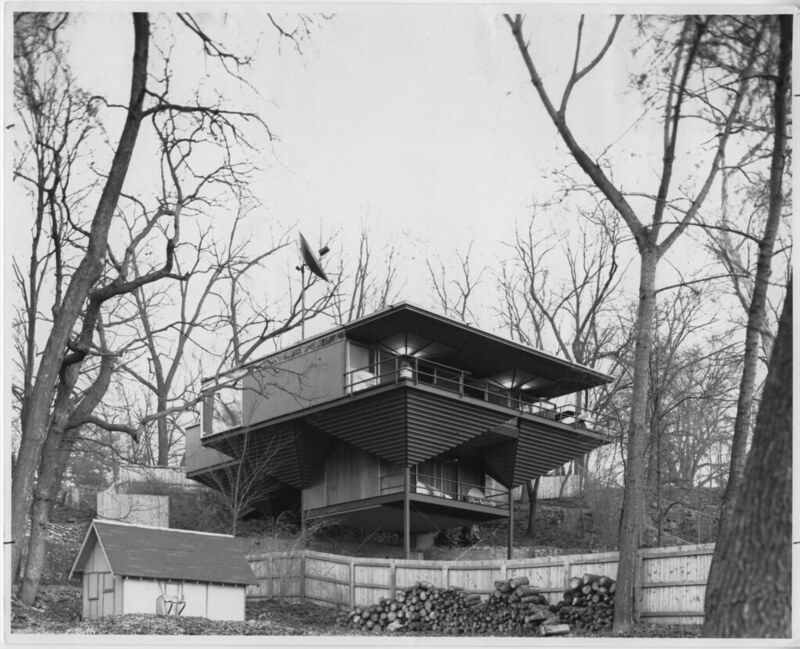 The Yanda Residence was built by Architect, Albert J. Yanda for himself and his wife. The structure, built of steel, sits on what was considered for years to be an unbuildable lot. His creative response to the site is an introverted façade to the street and a soaring glass filled structure to the rear. The inspiration for this house may have been looking West to John Lautner's Chemosphere house in California , built a few years earlier. Not long after completing this house Yanda would move west himself. Yanda had previously been in the employ of David B. Runnells, Architect to several early Drummond Projects. Yanda's initials appear on many of Runnells' drawings as the draftsman of these plans.